When you begin living in Greece there can be a culture shock. Don’t worry, the Greeks are an understanding sort of people and they will be keen to put you at your ease. Here is a brief guide to etiquette. If you’re the type who feels a bit panicky when you go to a neighbour’s house and they do things differently, you’re probably British. Should you kiss or shake hands? Is it a shoes on or shoes off household? When you start settling into life in Greece you’re likely to experience that culture shock with knobs on. Should we offer to wash up, or just smash the plates? The potential for social embarrassment is immense, but don’t worry. Firstly, because Greeks are incredibly friendly and have a strong and positive relationship, on the whole, with the British. Secondly, because the rules and etiquette are really quite simple. The most important consideration: do not be wary of Greeks bearing gifts. Gracefully accepting gifts, and reciprocating in due course, is an essential way to oil the wheels of social interaction. If your neighbours are at a separate table in a bar, they may send a drink over to you – probably raki. It is considered rude not to drink it. Unlike in Britain, you are not necessarily expected to buy one back on that occasion, but do mentally note it and return a gift in due course. If someone is buying you dinner, don’t insist on splitting the bill, or you may cause offence. The second faux pas that foreigners are apt to make is with a certain hand gesture. The moutza is when you spread the fingers of your hand and show it palm towards another person. Even worse, doing it with two hands, close to the other person’s face. So if you want to tell someone that you’ve been in Greece for five days, tell them, don’t show them, or you might not enjoy your sixth! You’ll normally be welcomed with olives, bread and water, which you assume are freebies, but then you’ll get a small cover charge on the bill marked koybep. It’s hard to know, however, because equally, the owner may treat you to some little extras free of charge. There are always local specialities that it would be rude not to try if they’re offered. 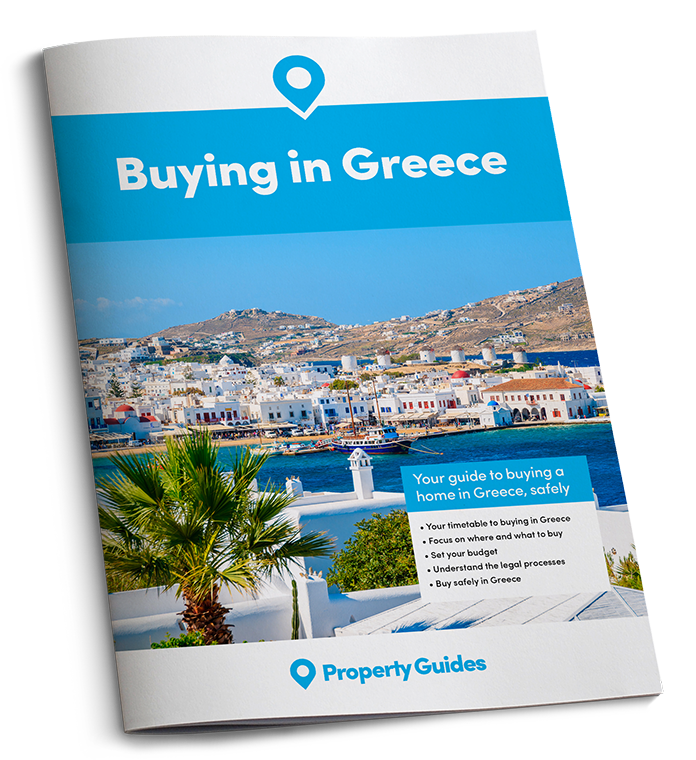 If you’re ready to buy in Greece in the next three months, speak to the Property Guides Resource Team on 020 7898 0549 to talk about your next move, or email greece@propertyguides.com. It could be sorting out a currency quote so you know your budget in euros, or being introduced to a trusted lawyer. 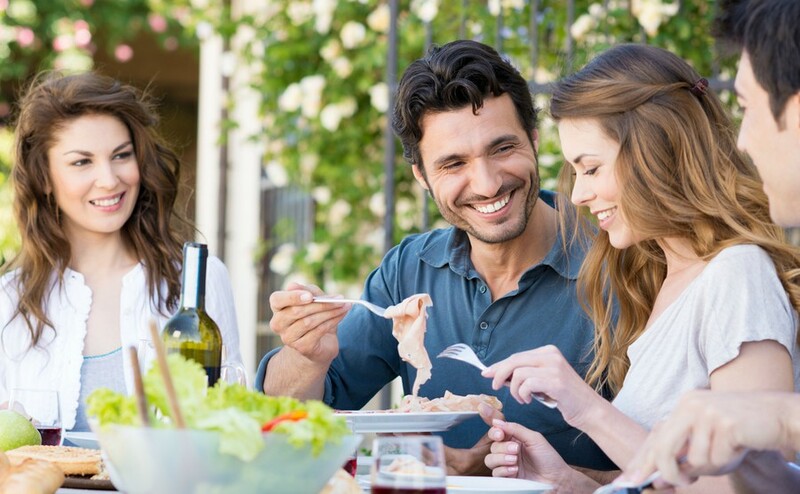 When eating out with local people it is normal to put all the food in the middle and share it. You may well not even bother with menus, but just ask the proprietor what’s good today and rely on their judgement. Meals tend to start with an ouzo or raki then move on to beer or retsina. Even with service is marked as included it is still customary to add a bit on top. In rural Greece in particular, the Greek Orthodox Church and its traditions are still very much in evidence in a way that the church isn’t in the UK. For a start, there are at least 12 public holidays to enjoy, and often religious occasions are together with a secular festival for double the fun. For example both the Annunciation and Greek Independence Day are celebrated on 25th March. Look out for the local festivals in your neighbourhood, such as the in Epiphany, on 6th January in the islands, when swimmers compete to retrieve a cross that has been thrown into the sea. 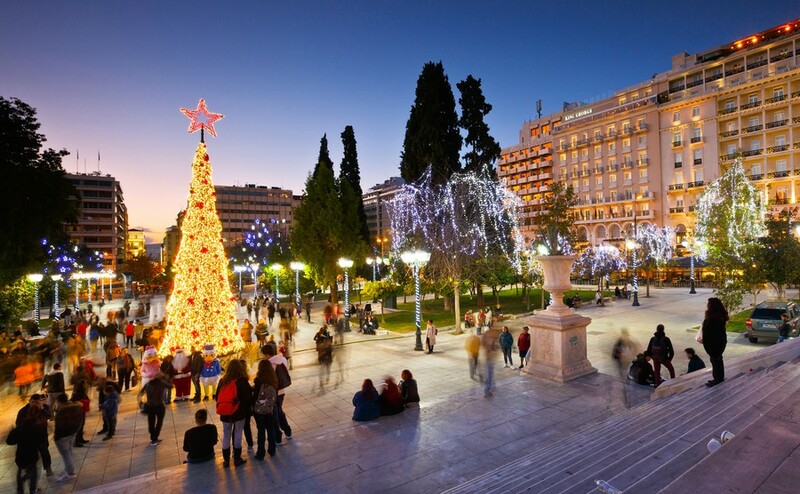 Easter is more important than Christmas/New Year as a Greek Orthodox festival, but Greece still joins in with the commercial and gastronomic side of Christmas so you’ll see tinsel and trees, you’ll feast on roasts and sweet treats, and the children get presents, usually on the 1st January. One oddity is the tradition of men to gamble over Christmas and New Year, at card or dice games in the cafes. Don’t forget, when booking that springtime property viewing trip, that the Greek Orthodox Easter is not always the same date as the Church of England Easter. In 2018 it will be a week later than in the UK. One thing that’s the same in every culture is the need to negotiate over the price of a property – the only time when the British ever haggle! Download our guide – How to Negotiate Abroad – and you should get a little more house for your money. Don’t expect a card on your birthday. You should, however, check out on what day the saint who has the same name as you is celebrated. On your “Name Day” it is your job to entertain friends, not the other way round. So if your name is Anthony, you’ll be busy on 17th January. Angela? Better book a restaurant for 8th November. What’s next for the Greek property market in 2019? What can you buy in Greece for €250,000?